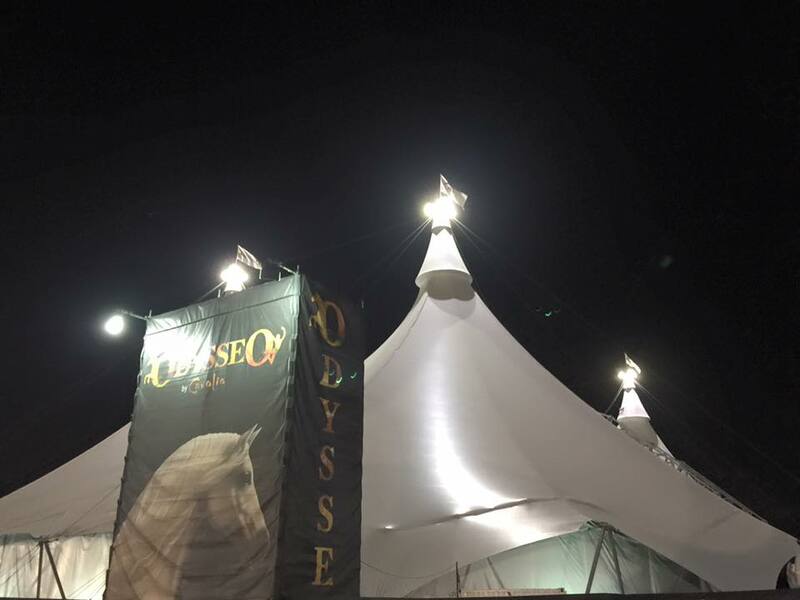 O, OdysseO, you stir the soul. Under The Big Top Through March 28. Exclusive OC Social Savings. You’ve heard the hype. Have you seen the show? 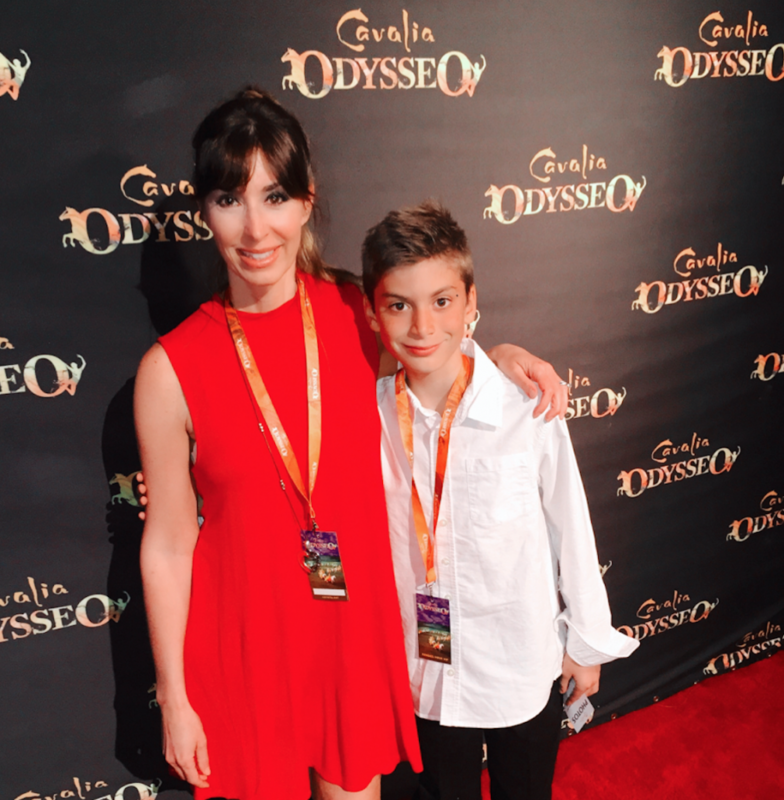 If not, there’s still time and I’m sharing the savings, as well as a look at the love for Odysseo in OC. Readers, followers, friends and family, enjoy a 10% discount on all evening shows in Irvine when you use the promo code SocialOC when purchasing your tickets at www.cavalia.net/live. I hit the show for Social Media night in OC, and it was a sight to be seen. My little guy and I had seen the show in LA many years ago, so he begged me to let him tag along to behold the beauty of the horses once more. Odysseo marries the equestrian arts, stage arts and high-tech theatrical effects at never-before-seen levels. It’s a stunner. Your heart races, as the riders doing stunning stunts in poetic form. The relationship between rider and horse is like a love story. And how lucky are we to have the show right in OC, off the 133 in Irvine. It was a 10 minute drive for us, instead of a 2-hour trek to L.A.–be still my heart. What a delight! From your seats under the Big Top, you become part of a truly immersive, three dimensional experience as a state-of-the-art video screen, three times the size of the largest cinema screens, projects images that transport the viewer to a world of dreams. Performances range from equestrian feats to human strength art. #OdysseoOC inspires with every move. I’m normally never a big animal-performance fan, but Cavalia is unlike any other. I personally am a vegetarian for 25 years because of my love for animals, so I take animal interaction and respect-training seriously. The Cavalia approach is based on training methods designed to ensure the horses enjoy training with us and performing on stage. Trainers pay close attention to the horses to ensure that every request is adapted and respectful of what they are ready to offer. The philosophy is rooted in patience, trust and deep-seated respect. This genuine sense of caring and authenticity is inevitably what resonates with audiences. Poetic. Amazing. Beautiful. -#OdysseoOC so awesome to share this experience. Don’t miss out. Catch the show before it travels on! And get the 10% discount on all evening shows in Irvine when you use the promo code SocialOC when purchasing your tickets at www.cavalia.net/live. Enjoy! Pilates Reformer Is Good to the Core. Why I’m So Addicted.